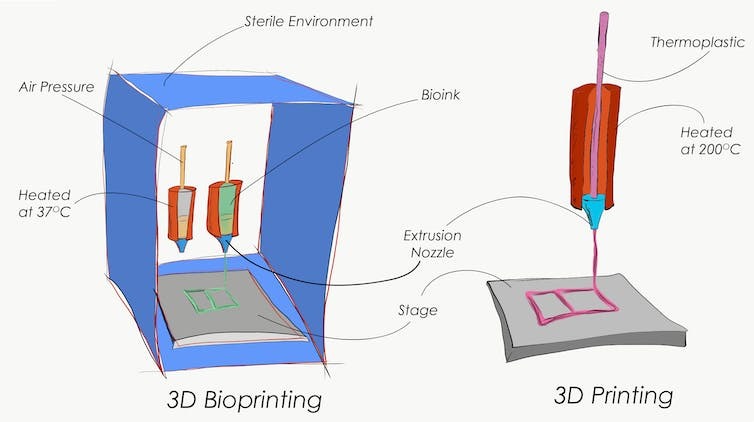 Scientists at Chicago based biotech startup BIOLIFE4D this week announced a major breakthrough that is the ability to 3D print human cardiac tissue. The scientific milestone was accomplished shortly after the opening of the company’s new research facility in Houston. The printing of a human cardiac patch involves multiple cells that make up the human heart. Bioprinted 3D cardiac patches can be used in patients with acute (serious) heart failure to restore lost myocardial contractility. The company now plans to turn its focus to other constructs like valves, blood vessels and a mini-heart as it involves 3D bioprinting a full human heart. How far away are we from 3D printed drugs and medical devices? Decades ago, we used to say technology was the wave of the future. Today, with technologies such as additive manufacturing, we are living in the future. Additive manufacturing, or 3D printing, is being used increasingly across numerous industries, from automotive to entertainment to pharmaceutical and medical device. According to a recent report, North America is expected to account for the largest share of the global 3D printing medical device market in 2017, a global market which is projected to reach USD 1.88 billion by 2022 from USD 0.84 billion in 2017. While 3D printing is here, the future holds many questions. As the use of 3D printing continues to expand in the pharmaceutical and medical device space, how the FDA regulatory regime and traditional products liability principles will evolve are among these questions. Author Supercharg3dPosted on 20th October 2017 17th November 2017 Categories Industrial Uses, Paradigm ShiftTags Health, Medical, PharmaceuticalLeave a comment on How far away are we from 3D printed drugs and medical devices? 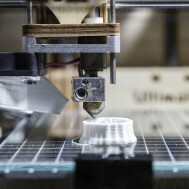 This is a good white paper from UL on one of the main wider implications of 3D printing. The UL AM white paper, “Managing Safety in Additive Manufacturing Facilities,” is now available. In speaking with Norm Lowe, UL’s manager of AM facility safety services, the white paper is in response to the rapidly increasing demand to better understand AM safety considerations. “There so much growth within the industry that manufacturers need to understand the safety factors associated with AM, just as they would with any other manufacturing process. But unlike traditional manufacturing, that knowledge hasn’t been readily available,” states Lowe. Download Managing Safety in Additive Manufacturing Facilities now. Yesterday the Dubai Health Authority announced that doctors had saved the life of a sixty-year-old Omani woman who suffered from a cerebral aneurysm, with assistance from a state-of-the-art custom 3D-printed model of the patient’s brain dilated arteries to help plan the complex surgery. The patient was admitted to the hospital after suffering from severe bleeding in the brain. Due to the complexity and rarity of the patient’s case the doctors needed a 3D model that would allow them to understand exactly how to reach the arteries in a safe manner. Without the 3D model the surgery would have taken longer and the risk would have been higher. It looks like a real heart. And this is the goal of the first entirely soft artificial heart: to mimic its natural model as closely as possible. The silicone heart has been developed by Nicholas Cohrs, a doctoral student in the group led by Wendelin Stark, Professor of Functional Materials Engineering at ETH Zurich. The reasoning why nature should be used as a model is clear. Currently used blood pumps have many disadvantages: their mechanical parts are susceptible to complications while the patient lacks a physiological pulse, which is assumed to have some consequences for the patient. 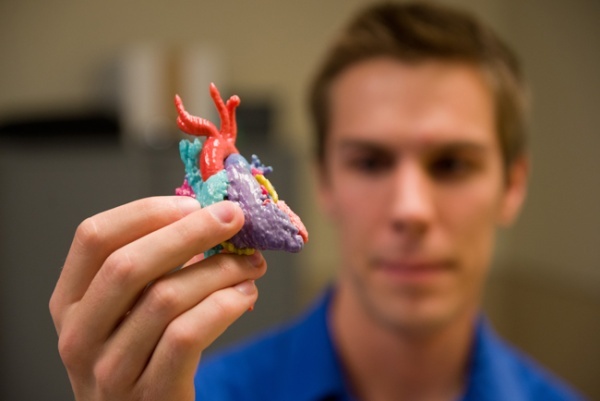 “Therefore, our goal is to develop an artificial heart that is roughly the same size as the patient’s own one and which imitates the human heart as closely as possible in form and function,” says Cohrs. A well-functioning artificial heart is a real necessity: about 26 million people worldwide suffer from heart failure while there is a shortage of donor hearts. Artificial blood pumps help to bridge the waiting time until a patient receives a donor heart or their own heart recovers. There is a problem surrounding the additive manufacturing (AM) and 3D printing (3DP) industry that is rarely discussed, but is not going away any time soon. I would be the last person to dispute the amazing capabilities of AM and 3DP hardware systems used for industrial applications. The ability to build complex parts in one piece and the advantages this brings of increased strength, lighter weight, reduced material consumption and assembly component consolidation for an increasing range of applications are all well documented. The focus tends to be on the hardware, but this does not convey the full picture of what is required to get that part ‘off the machine’. In the first phase of its project to generate standards for safer 3D printing, the UL assess airborne particles and volatile compounds released during extrusion of several polymer filaments. A two-year study from Underwriters Laboratoryexamines the implications of ultrafine particles and volatile organic compounds released during 3D printing on human health. Although enclosures and other features on 3D printers are usually included to minimize the release of airborne particles during extrusion, further investigation is needed to develop standards that will ensure the safety of people in the area. UL presented its results at the Summit on the Safety Science of 3D Printing. Its study explores several polymer filaments, including ABS and PLA, which produce similar levels of ultrafine particles. They identified 50 volatile organic compounds (VOCs) released during printing, of which the most significant were styrene, caprolactam, and lactide. While 3D printing is undoubted entering mainstream manufacture – and at rates that are faster than many realise – it is important to note that there continue to be challenges to be overcome. This isn’t a surprise, after all all disruptive technologies do. This article from Apple Rubber discusses some of the key ones. According to Wohlers Associates, the global 3D printing market is expected to reach $21 billion by 2020 — quadrupling its size in just four years. While 3D printing, also referred to as additive manufacturing, comes with many benefits, such as freedom of design, easy prototyping, customization and streamlined logistics, it also poses many challenges. In order to fully leverage this transformational technology, we identified five 3D printing challenges that manufacturing leaders must understand.